The Names is personal and familial archaeology, an extemporal dig giving spectres back to their bodies. 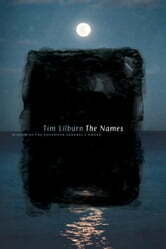 With its lines sped up and dazzlingly associative, Tim Lilburn’s cocktail of obsessions – confession, ontology, mystical theology, humour and extreme, fleet, apt weirdness – marches through on full display. He pulls in an even broader cast of characters than his previous collections managed: John Ruusbroec and Marguerite Porete brush past aunts, uncles, and unusual creatures steering the boats of language past fog-draped trees. In Lilburn’s latest collection, we are immersed in a realism of remarkable proportions, as though incandescent memory comprised both texture and text, and combined formed the elemental fibres of a perilous present.